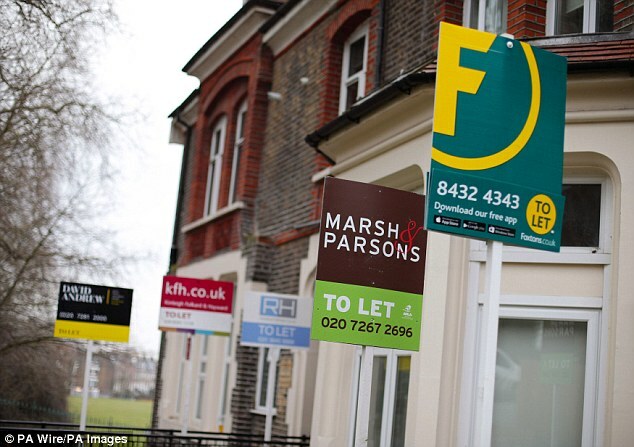 Buy-to-let rates could start to rise in the next few weeks thanks to a surge in the number of landlords needing to remortgage, experts have warned. A massive 29,100 buy-to-let purchases went through in March 2016 as landlords rushed to beat the introduction of a 3 per cent stamp duty surcharge from April that year. Most took two-year mortgage deals, as at the time these offered the cheapest rates, but now they're facing a steep jump in the cost of their repayments unless they remortgage to a new deal. Daniel Hegarty, chief executive of online mortgage broker Habito, said: 'If you need to remortgage a buy-to-let in the next few weeks, you'd be better off starting sooner rather than later to avoid the upcoming application crunch. 'The influx of remortgage applications over March, due to the wave of expiring two-year-fixes, will put heavy administrative pressure on lenders. Hegarty warned that applications are likely to take longer than usual in the next month or two as lenders struggle to cope with volumes. Potentially, this could mean rates tick up as lenders take advantage of the surge in demand and look to control the number of applications they receive. 'Not only will applications take a lot longer than usual in April, but the remortgage market could turn in favour of lenders. Increased volumes will lower pressure on them to offer competitive pricing and conditions,' he added. Qualifying for a remortgage deal might also prove trickier than landlords expect. In the past year lenders have been forced by the Bank of England to toughen up their assessments of landlords. This means that any buy-to-let mortgage application for a deal less than five years long must now pass an affordability stress test. Most lenders calculate this as the rental income on the property being equal to a minimum of 145 per cent of the mortgage payment if the interest rate on the mortgage was 5.5 per cent. This stress test does not apply for five-year fixed rates, which may account for a rise in popularity of these products. Research by buy-to-let lender Paragon suggests landlords are already shunning two-year mortgage deals in favour of locking in for longer. 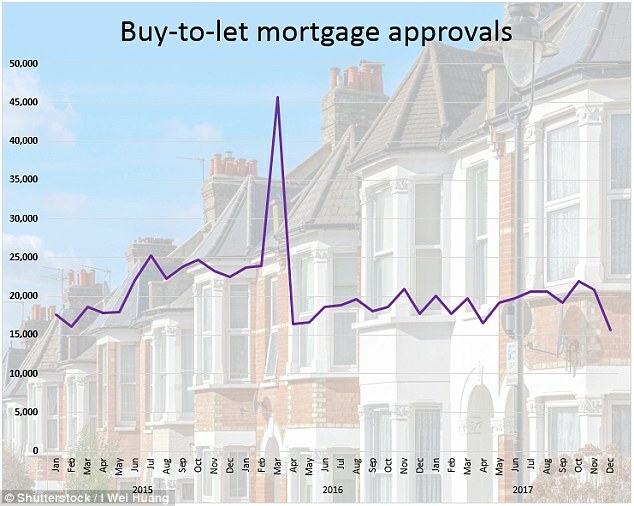 The number of applications for five-year buy-to-let mortgages rose 7 per cent in the last quarter of 2017 and accounted for 48 per cent of all new enquiries - the first time five-year deals have been more popular than cheaper short-term deals. Two-year terms, which have been the overwhelming preference over the past five years, made up 40 per cent of fixed and tracker cases in the final quarter of 2017, down 7 per cent on the previous quarter and 14 per cent on its 2014 peak. Landlords are also looking for certainty from their mortgage rate, with 91 per cent choosing a fixed rate - an all time high. John Heron, managing director of mortgages at Paragon, said: 'These results highlight the overwhelming preference the market now has for fixed rate products and increasingly for longer-term fixed-rate products. It is not just fear of rising interest rates driving this move to lock in for longer. Landlords are also now battling with higher expenses. The first of three reductions to the tax relief available on mortgage interest payments came into effect in April 2017, meaning instead of claiming against all of their expenses, landlords will be able to claim back just 75 per cent of their finance costs when they file their returns ahead of January 2019. By April 2020, landlords will no longer be able to deduct any of their mortgage expenses from their rental income when calculating their tax obligations. Instead, they will be eligible for a 20 per cent tax credit. Adrian Moloney, of specialist lender Kent Reliance, part of OneSavings Bank, said: 'Landlords have had nearly three years to understand and prepare for the changes to the tax treatment of mortgage interest.